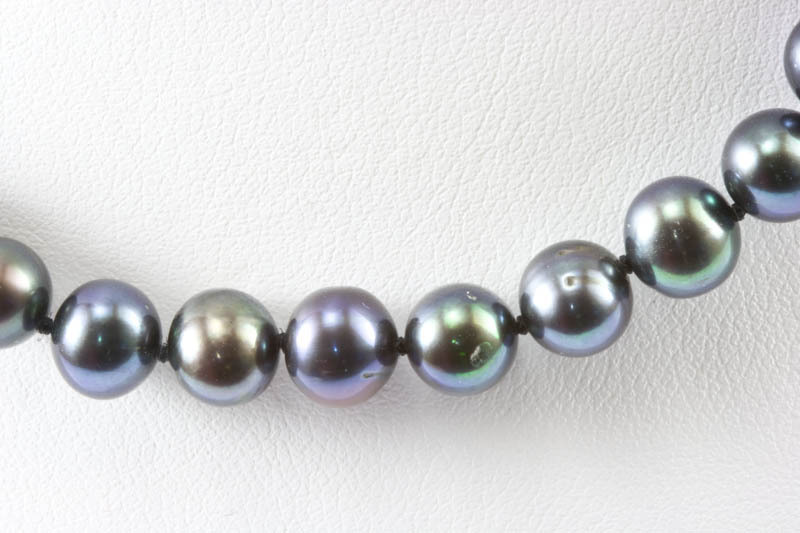 7mm Black Fresh Water Pearl Necklace (Off Round), 14 K. Gold Clasp. 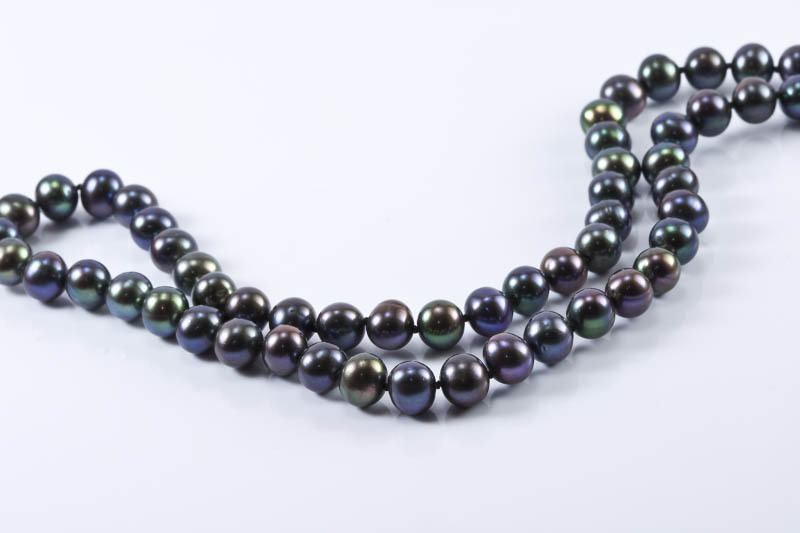 This is a stunning eyes-catching black pearl necklace. 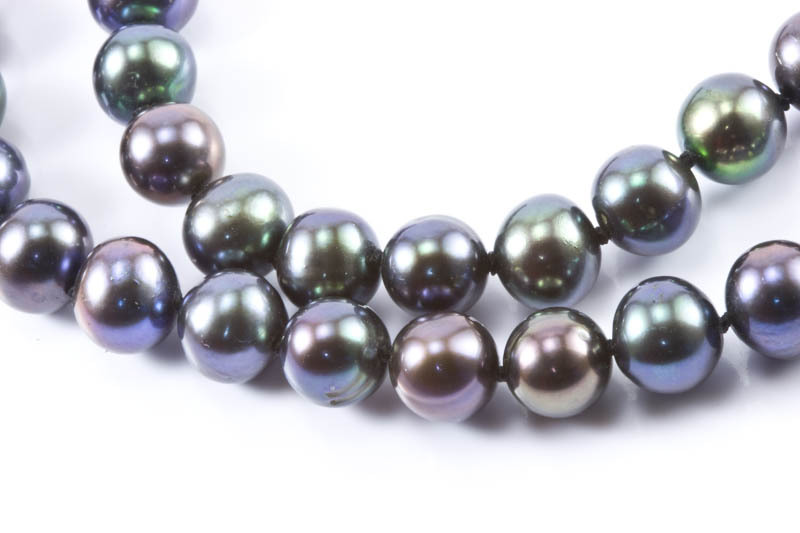 Pearls are approximately 7mm , black base color with peacock and purple overtones. 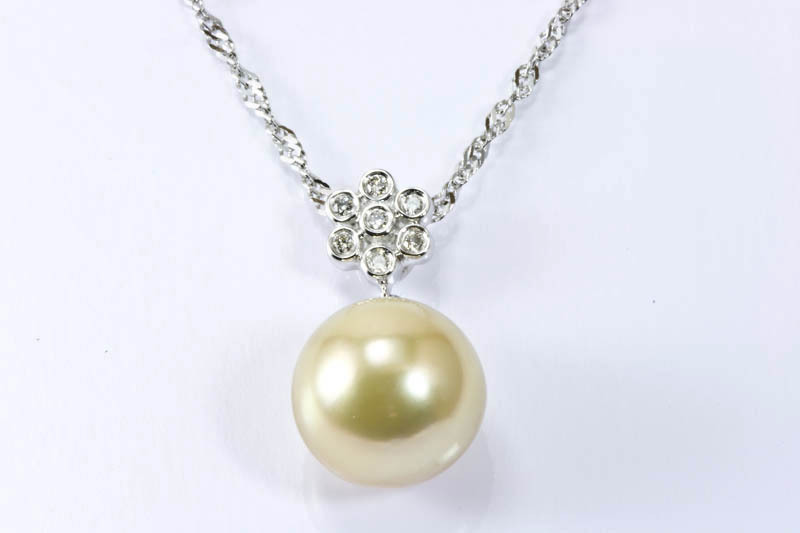 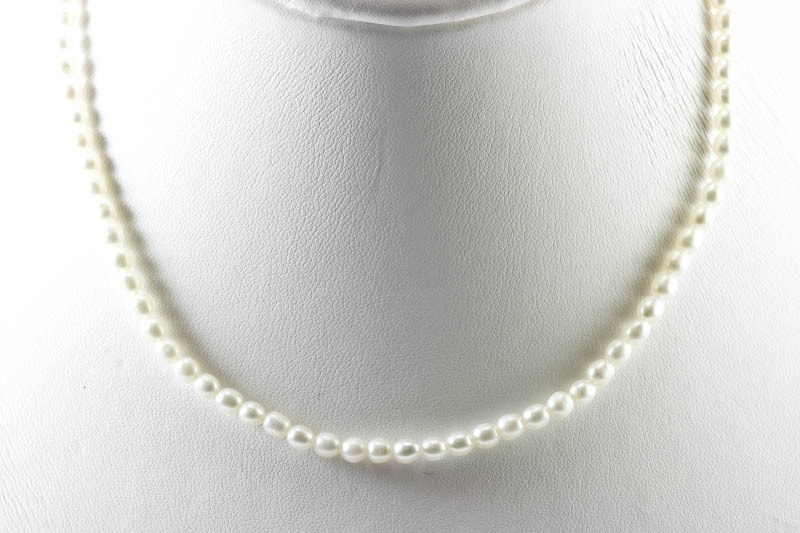 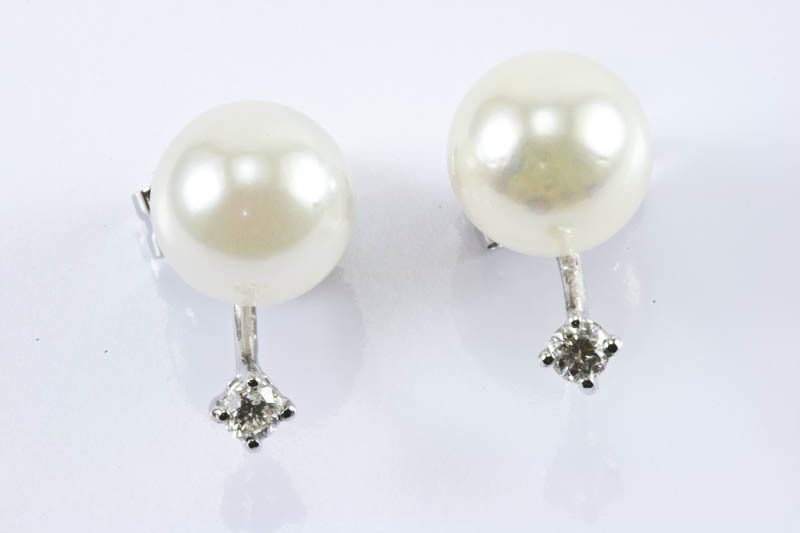 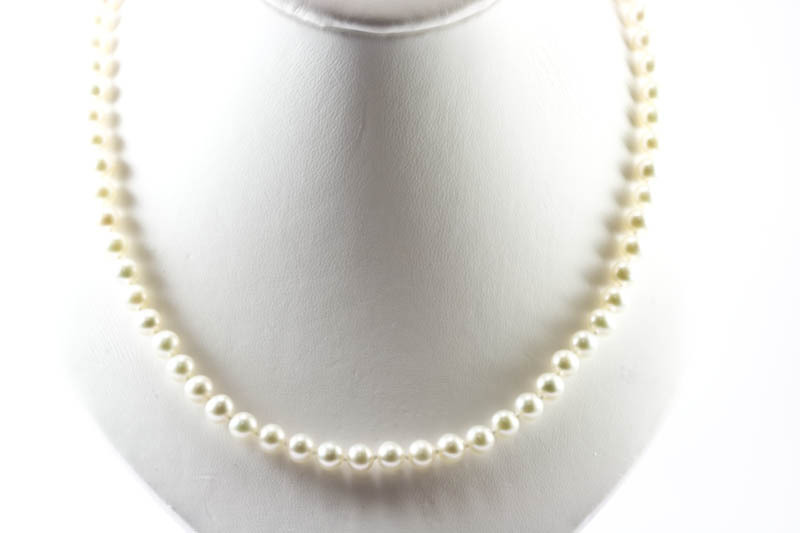 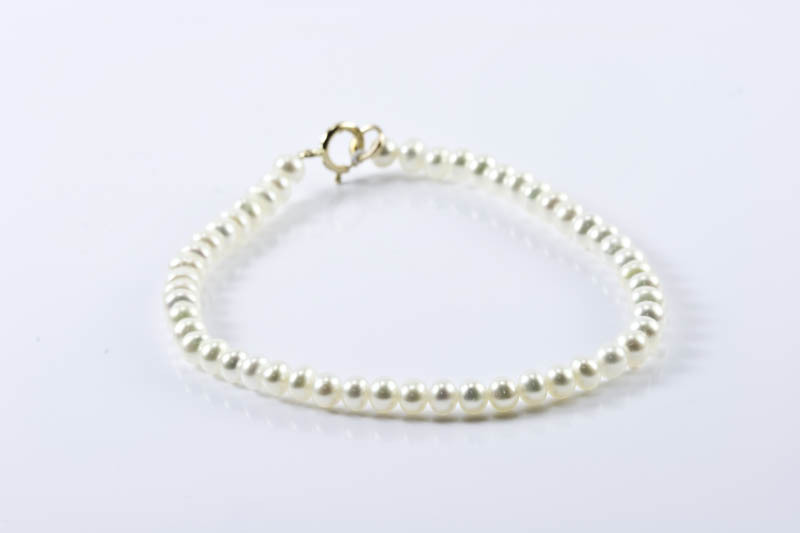 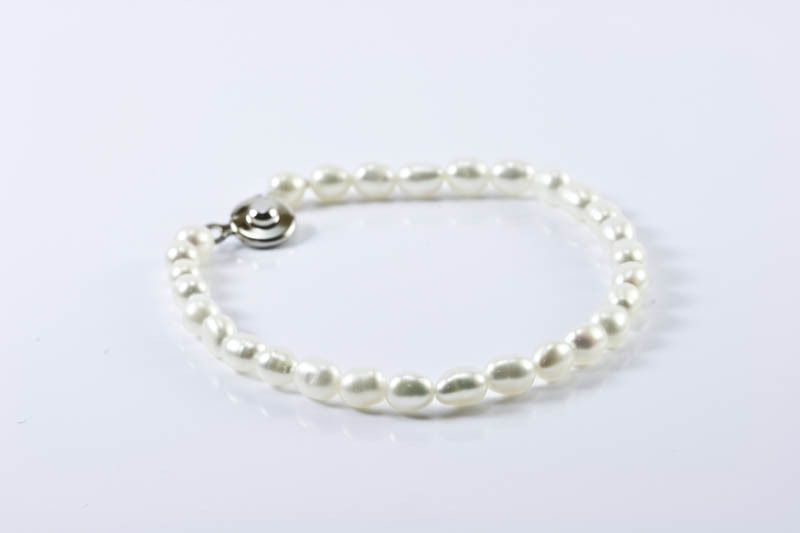 Pearls are semi round in shape, but appear very round on the neck. 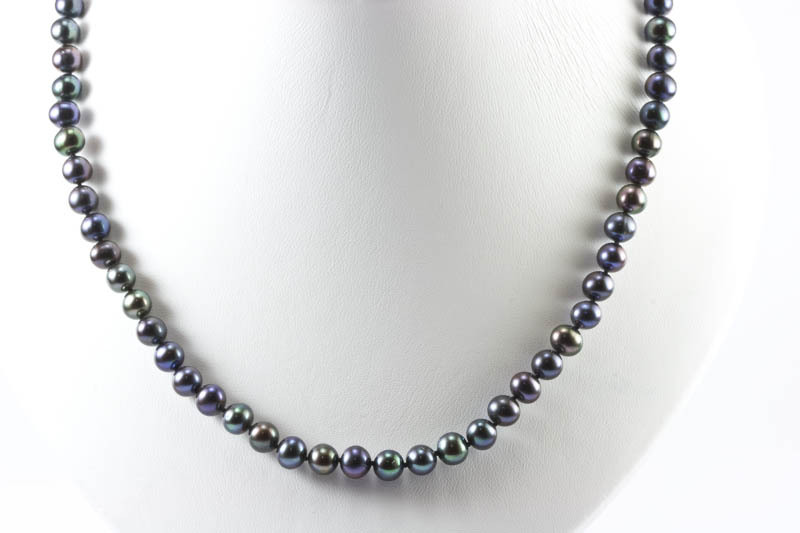 The skin quality of this pearl necklace is decent, and the luster is good too.